Did you know that people are 4 times more likely to buy a product when it is referred by a friend? That is according to Nielsen. In fact, 92% of their respondents trust the referrals of the people they knew. This means that they trust people who are closed to them more than your cold caller marketer. Implementing a referral program in your ecommerce website is one of the best decisions you can do for your business. Not only can a referral program massively increase your traffic, it can also increase brand recognition allowing you to continuously promote your products and services. But every referral program is different. Some are more successful than others. While some referral programs are able to generate thousands of dollars in sales, others are stuck as an ‘optional’ task for potential customers. Don’t create an ‘optional’ referral program. Today, you’ll learn 10 tactics that you can use to increase your ecommerce conversions. According to SaaSquatch Data Science, every referrer has the capacity to refer at least 2-3 people. Once a customer is engaged, they are willing to invite at least 2 to 3 of their friends to the brand. However, it seems that only 14% take action once they reach a referral page. This may be because the page is too complicated or they find it hard to refer people for it requires their contact information such as their email. It is with this reason why your referral program should be easy. It should be straight to the point but there should be a social media share option for gathering easy referrals. Also, it may help if you use some referral tools. These tools allow you to automate your referral program and get to 3x more conversions and sales. Sadly, only 22% of referral programs use a tool. Most of them are created with their own coding. You can really increase your conversions if you use an existing tool that is known to work. You may have seen opt-ins with a wheel of fortune such as that of WP Optin Wheel. You may have also seen those quizzes that are constantly shared on social media. If you think outside of the box, you’ll be able to think of some ways on how you can make your referral program more interesting to your target market. One way is to include a wheel of fortune where they can get rewards that they can brag to their friends on social media. This way, their friends can easily join the fun by also spinning the wheel. Another way is to have a quiz to qualify your prospects or to categorize them. If you are in a niche with a certain identity (ex. Harry Potter products), you may want to sort your customers based on their personalities (ex. Hogwarts Houses) before you offer them an incentive. This way, your referral reward will be hyper targeted to your market. Your reward matters. It will dictate whether your prospect will act on your referral program or leave. As mentioned, only a small percentage of prospects act on a referral program. But if your reward resonates with their needs, you can have more referrals and conversions. The evidence that the size of the reward matters is PayPal. In its humble beginnings, PayPal is just like any other starting website - no members and no transactions. So what they did is they invested on their members. They started a referral program where they gave cash in exchange for sign ups. This is the seed that allowed PayPal to grow and get 1 million subscribers from all over the world. So what does this mean to you? It means that you should think of a reward that your customer can't say 'No' to. It should be enticing enough for them to go out of their way to refer their friends to your website. A referral program has two elements: the referrer and the friend. 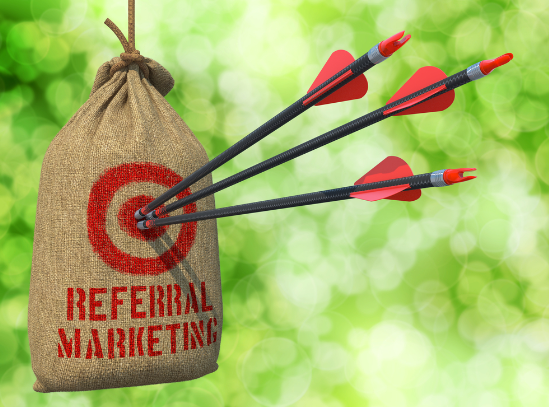 While most referral programs focus on the referrer, others also reward the friend. Why’s that? Think about it this way. If you’re the friend, will you sign up to a website or brand that you hardly know just because your friend says so? If your friend is getting a reward for your sign up and you get nothing, will you sign up? If you’re a good friend, then yes. You will probably sign up. But for most people, this task hits the back burner because there is simply nothing in it for them. What’s the solution? Reward the friend. Give them a reason to act and to join. Give them a discount for their first purchase or give them something in return just for signing up. If you do this, they are more likely to sign up and buy from you. People love to feel special. The same is true for your target market. While generic discount codes or freebies will pull people in your program, there is nothing better than having a unique reward that is designed just for you. This is where remarketing comes in. This is where you reach out to all of the people who have bought from you before and you give them an exclusive discount code to a product that they have previously bought or a related product. Since this takes into account the customer’s previous purchase, it is two times more powerful. It shows that you are paying attention to what they are buying and you are giving them exactly what they need. For this, you’ll need a retargeting tool. In 3dcart, there’s a tool called Klaviyo. This is a retargeting ads platform that will allow you to reach people who have bought from you as well as people who have visited your pages. With Facebook pixel, you can easily see the people who have visited your site. The tool can then reach out to them. If you fuse this with your referral program and offer discounts along the way, this can help you drive more conversions in your ecommerce website. In line with making things interesting, you can also host contests with your referral program. In fact, this is the quickest way to explode your list of prospects while also massively promoting your brand at the same time. How can contests help you? Well, it inserts a competitive spirit into the ordinary referral program. With it, you can reward the customer who refers the most people to your page. 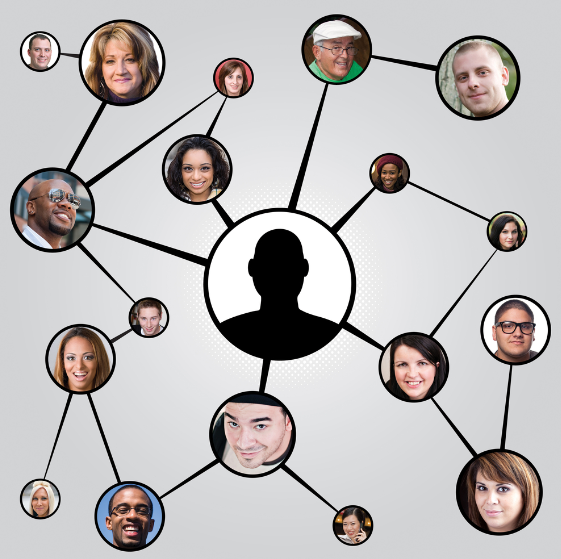 With this, the average of 2-3 referrals can increase to as much as 7-10 referrals per person. This can drastically increase your traffic and sales. For this to work, you’ll need more than a referral incentive. While you still need that, you also need high ticket items as prizes. Why do you need a high ticket prize? You need it to convince prospects of course. The more attractive the prize, the more people will sign up to your program. For this, you’ll need a tool with a contest functionality. 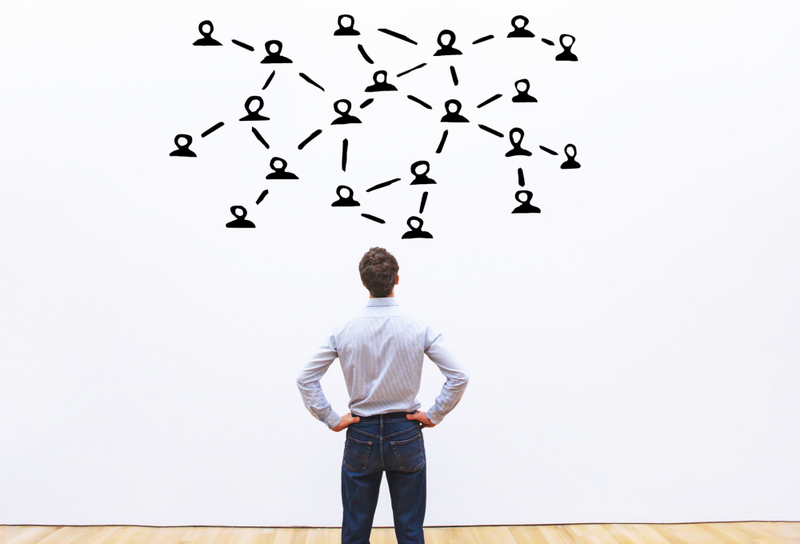 This way, you don’t have to count all the referrals and distribute the rewards yourself. Some referral marketing plugins or software have a built-in contest option that can further encourage prospects to refer more people to your site. Another idea is to fuse a referral program with a giveaway. Instead of contests, you can have all referrals count as entries to a giveaway. The more referrals a prospect has, the higher his chances of winning. This will work really well if you will also include a social media factor into the equation. If they can promote the program via social media and instantly get referrals with each sign-up, that’s better. This means that they no longer need to manually input the email addresses of their prospects. But if you don’t have a tool that can do this, you can always go the manual route. In here, you can also include likes and shares in the mechanics. So each entry must include a referral as well as some likes and shares on some posts in your page. This way, you can get more brand exposure in the process. You don’t only get to be promoted to the referral. You also get promoted to that prospect’s entire friend list. 38% of customers claim that they have engaged in online chat in 2017. 30% of them have use their mobile gadgets to interact with a business and 28% have engaged with a business with social media. It is this increasing rate that brought about the need for a chatbot - a 24-hour AI who can chat with customers on behalf of the business. The adoption of chatbots is on a steady increase. In fact, 15% of Americans now want to use chatbots in their communications with businesses. While it may not look as much, it is expected to increase in the upcoming years. But there are more uses to the chatbot than mere customer service. You can also use it to promote your referral program. It's simple. Just integrate a rewards option in your chatbot and your prospects can click it on the menu. Or you can use the chatbot for reward announcements of your referral program. This will immediately inform anyone who has signed up to your chatbot list. According to the Book The Greatest Miracle in the World by Og Mandino, the secret to life's prosperity is going another mile. And it seems to be true especially in customer service. You see, there's a secret with how why customers refer other people to a site. Often, they will claim that they are willing to do it. In a study by Texas Tech University, they found out that as much 83% said that they are willing to refer their friends to a business that they like but only 29% actually do. The secret is in going another mile. If they see that you have gone out of your way to help other people, then they will be more encouraged to help you as well. Another technique that can massively increase your conversions is to enlist the power of influencers. Influencers are like online celebrities. They are experts in a particular niche and people look up to them and respect their recommendations. An influencer marketing promotion can result into immense traffic and sales in your site. So you’ll want to get on their good side. So how can you get on the influencer’s good side? That’s simple. Look for influencers who will appreciate your products. Then, contact them and give them the product for free. After that, don’t ask for a review. Just give them an exclusive discount code that is made just for them. The result is often tremendous. Influencers would often love the freebie along with a discount code that is name after them or their brand. With this, they are more likely to promote the product to other people because they have a discount code that is named after them. On the surface, you may think that you are on the losing end. But think of it as an investment in marketing. The freebie that you should give away should be included in your ecommerce marketing budget. NOTE: Don’t promote unrelated products to influencer niches. You’ll just get turned down. Be sure that the influencer already have an interest in your product before you even promote it. So that’s how you increase your ecommerce conversions with referral marketing. Referral marketing is the fastest way to grow your website’s traffic and sales. It has been used by big brands like AirBnb and PayPal for a reason. It just works. But don’t just launch a program and leave it. Think outside of the box. With a little creativity, you can launch a program that go viral and give you massive conversions.